Well, the NBA draft is in full swing and the Bulls are loading their team with new talent while renewing a few favorites. 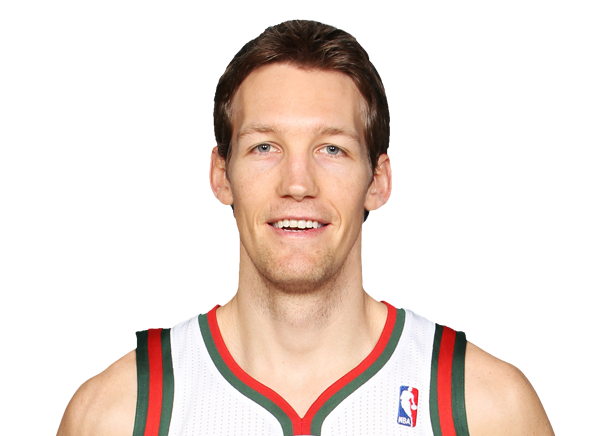 The biggest news from the Bulls draft is the acquisition of Mike Dunleavy Jr. from the Bucks. Dunleavy comes to the Bulls after a phenomenal 2012-2013 season with the Bucks and will undoubtedly prove to be a valuable asset to the Bulls this upcoming season. Last season, the Bulls ranked 21st in three-pointers; Dunleavy’s previous season found him at 42.8% on three point shots and averaging 10.5 points per game. This two year deal worth $6 million brings about a game-changing addition to the Bulls. He will undoubtedly be a good help to Luol Deng who pushed himself to the limit in Rose’s absence averaging 16.5 points per game in seventy-five regular season games. Dunleavy has stated that working with Rose was an enticing perk of joining the Bulls as was being reunited with his former Duke Blue Devils’ teammate, Carlos Boozer. After playing for the Pacers and the Bucks, this third stop on Dunleavy’s Midwest basketball tour should prove to be stunning as he will serve as an unexpected threat to opposing teams who will undoubtedly be focused on the [hopefully] returned Derrick Rose. The return of Derrick Rose and the addition of Mike Dunleavy also makes the Bulls a substantial threat this season as the Rose-less 2012-2013 team was spectacular without Rose as they were forced to be a great team and step up to the challenge of getting to the playoffs. Adding Dunleavy and Rose into the mix is a game changer! Hey, what about me, guys? 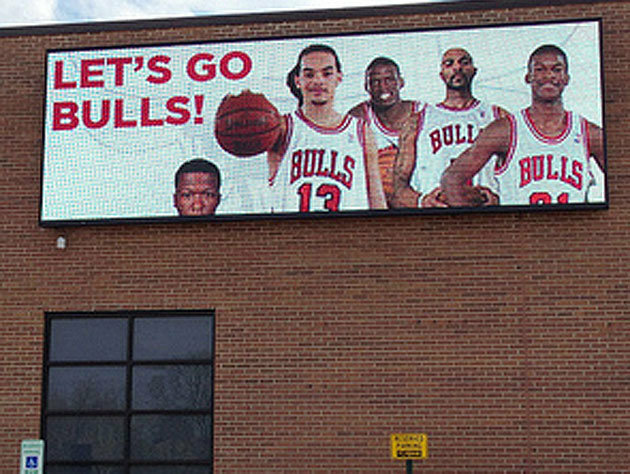 The saddest part of the ongoing story of the Chicago Bulls and the NBA draft is that Nate Robinson has not found a home. Surfing the wave of the free agency market, Robinson has been denied by both the Warriors and the Bucks. There were rumors that he was in talks with the Knicks, but nothing ever came from those supposed meetings. The Warriors opted for Toney Douglas, who averaged 7.5 points last season, and the Bucks chose to make a ten million dollar deal with Carlos Delfino, the player with such terrible overall numbers that he was waved by the Houston Rockets. The question arises: Why can’t 5′ 8″ Nate Robinson find a home? Robinson averaged 13 points per game and helped carry the Bulls to the NBA Playoffs where he went toe-to-toe against 6′ 8″ Lebron and the superstar-stacked Miami Heat. Robinson also scored an astounding 23 points in the fourth quarter of a playoff game against the New York Nets. He played game six against the Nets while ill, taking breaks to sit on the sidelines and vomit before jumping back into the action. The Bulls are clearly counting on Derrick Rose to be fully healed and no longer be a magical basketball wizard without fragile glass bones as their priority should have been keeping Nate Robinson on the roster. For a team that is known for being a team of pure heart and determination, Nate Robinson is the reason they are known for that. Nate Robinson is the reason the Bulls advanced past the Nets. 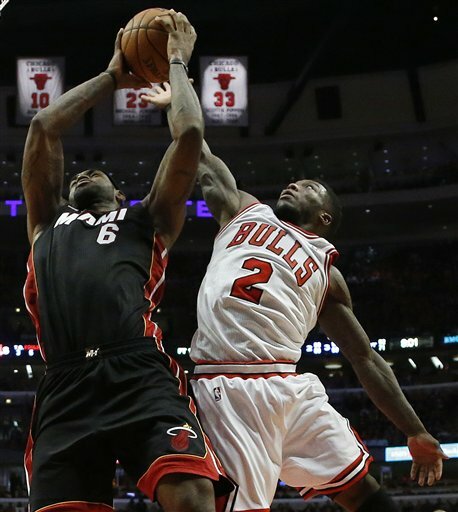 Nate Robinson is the reason the Bulls were able to fight hard against the Miami Heat. His statistics, performance, determination, and fan following should have been enough to convince the Bulls to keep him as a part of the team. 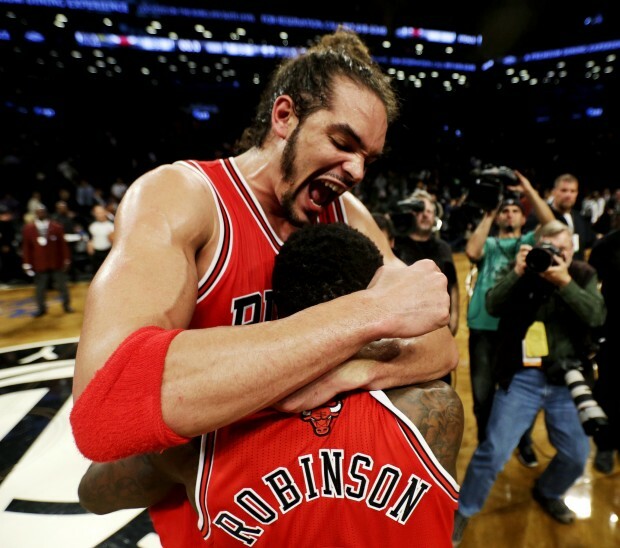 If all of that were not enough, perhaps his amazing on-court relationship with 6′ 11″ Joakim Noah is one of the greatest things about professional basketball. Hopefully Robinson, a clearly talented player, will find a home in the NBA because it would be a crime to deny an amazing player like Robinson an opportunity after such an amazing 2012-2013 season. 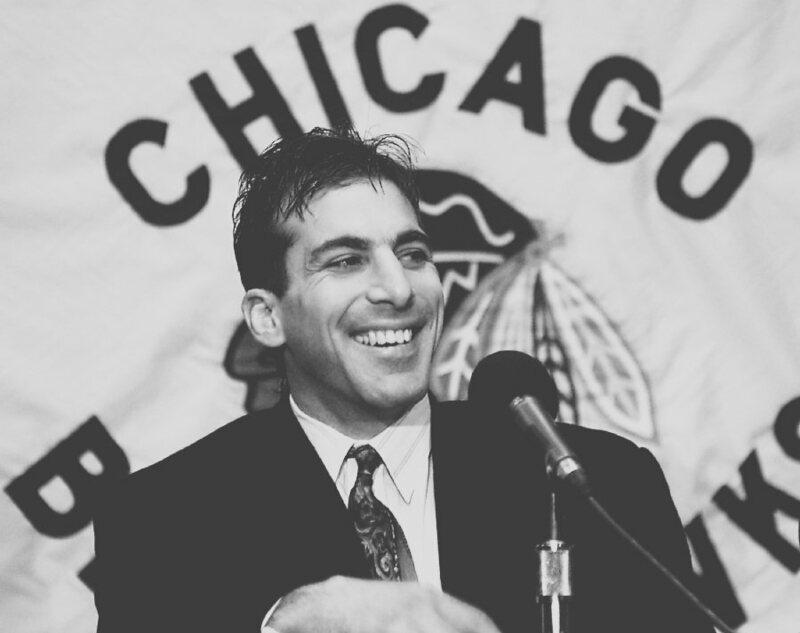 In Blackhawks news (that is unrelated to the Stanley Cup), former Blackhawks defensemen, Chris Chelios, is on the list of 2013 inductees for the Hockey Hall of Fame. He joins Brenden Shanahan and Scott Neidermayer as the inductees to the HHF this year and will be inducted November 11, 2013. Congratulations, Chris Chelios! While his father is having his name preserved with other hockey legends, Jake Chelios is working on his own legacy at Blackhawks Prospect Camp. 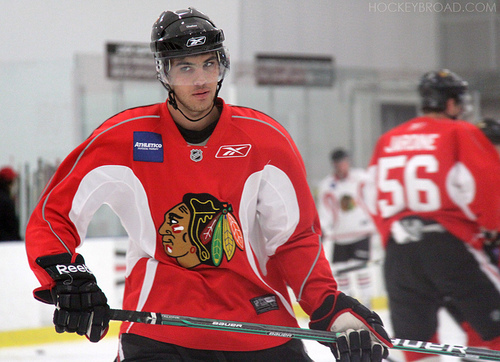 He and fifty-two others were invited to play at the Blackhawks Prospect Camp. Ryan Hartman, the top pick of the draft, was forced to be an observer due to surgery on his right shoulder. 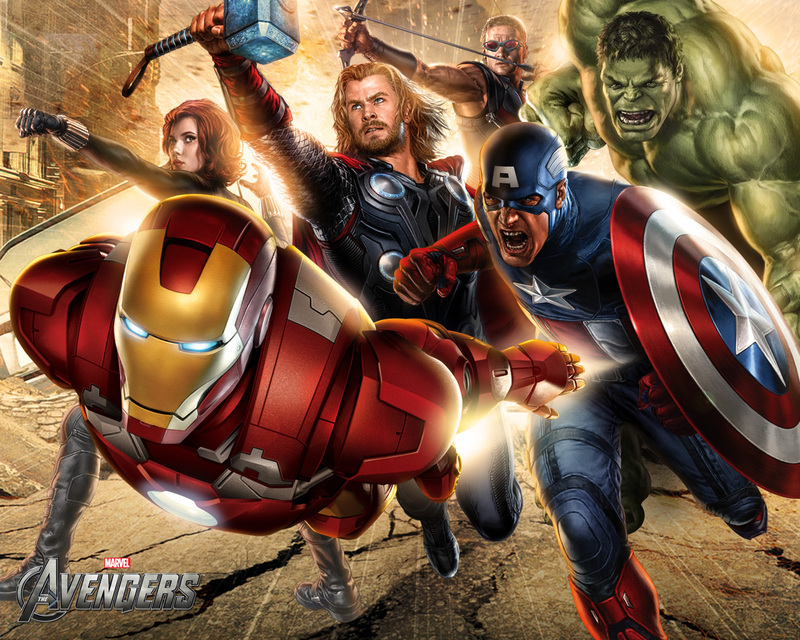 It is clear that now that the Stanley Cup is hitting the party circuit of the Windy City, the Blackhawks would like to keep it on that party train by spending the off season building the Avengers of hockey teams. The Blackhawks are revving up for another season, but we still have plenty of time before October rolls around and the revamped team hits the ice. Spend the summer celebrating the 2013 Stanley Cup Champions, the Chicago Blackhawks, with a variety of Blackhawks attire from Clark Street Sports. 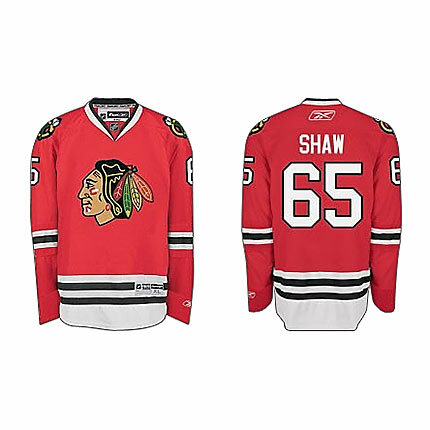 We have a vast selection from Andrew Shaw jerseys to Jonathan Toews bobble heads that are perfect for any Chicago Blackhawks superfan. So grab your necessary Blackhawks merchandise from http://www.clarkstreetsports.com today and party all summer long!